If you're looking for jam from Pays Basque, a slab of compté le fort or fresh Polilâne imported overnight from Paris and just can’t seem to find it at Star Market, head over to Formaggio Kitchen. This quaint shop has locations in Cambridge and the South End. A first-time shopper might be overwhelmed upon entering when they are met with an impressive wall of unique wine, a breathtaking array of cheese from across Europe, cuts of dried meat hanging from the ceiling, and a truly stunning display of pastries and cakes. Locals and chefs alike come to Formaggio for its esoteric ingredients, expert staff, and most of all, its cheese selection which you just can't find anywhere else. Stepping up to the counter requires a deep breath and an adventurous spirit. The staff are thrilled to answer any questions you may have as well as provide endless samples until you find that one brie that makes your knees weak. As an added bonus, there are always cheese samples around the store that may help narrow down your selection. Next to the cheese counter are the store’s premade batches of pasta, antipasti, vegetables, and sandwiches. They are perfect to take home for lunch or dinner. The adjacent room (if you ever make it past the cheese) is filled with fresh coffee, jars of candy, and an array of cakes and cookies. Fans of heavenly Lakota cookies will be pleased to find them far from the Arlington bakery. Finally, the last room includes a grocery of local organic fruits and vegetables, fresh baked bread, ice cream, and an impressive assortment of imported teas. With the beautiful aesthetic, friendly staff, and plentiful samples, it is easy to overlook the prices. 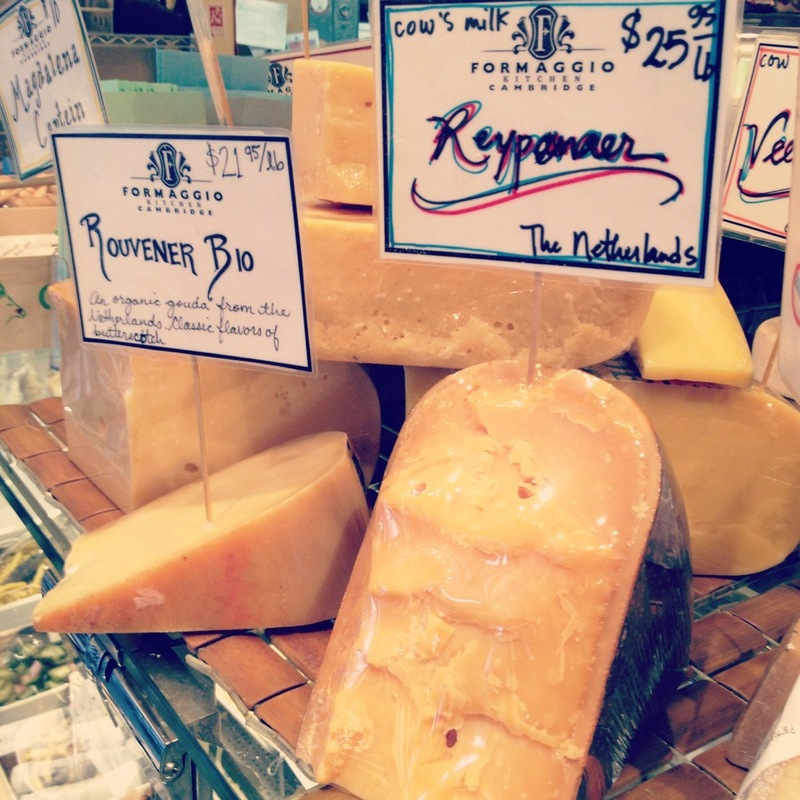 Shopping at Formaggio is not cheap, especially on a student budget. It’s not the place to go to refill the cabinets. It’s best to find a few rare and tasty items to treat yourself to in order to avoid retuning home penniless. One of Boston’s best-kept foodie secrets is Formaggio’s cheese cave in the basement of the Cambridge store. Built to mimic the conditions of the Alpine hillside, the cave ages young cheeses and maintains moisture in old ones. Ask one of the staff to give you a tour! For the true epicure, Formaggio offers weekly classes and events. Though pricy, if you’re interested in learning about cooking or about tasting and pairing cheese, wine, and beer, there’s no better place. From the outisde, Formaggio doesn’t look like much. From the plain storefront, it’s difficult to imagine the foodie wonderland that awaits inside. Shopping at Formaggio is truly an experience. It’s easy to forget being on Huron Avenue for a second, and instead you feel like you’ve been transported into a small shop in Paris. It’s that good.